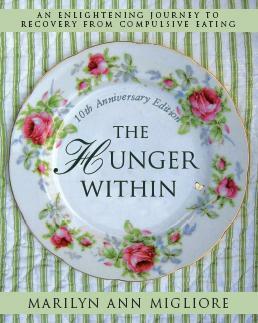 What is The Hunger Within? Migliore, is an inspiring interactive self-help workbook written exclusively for emotional eaters. defenses that fuel and drive disordered eating patterns. “It made me cry. I know that it is hard to believe that a ‘diet’ book made me cry, but it really did! that works and LASTS!!! Helps you understand WHY you overeat, not just what you should eat.